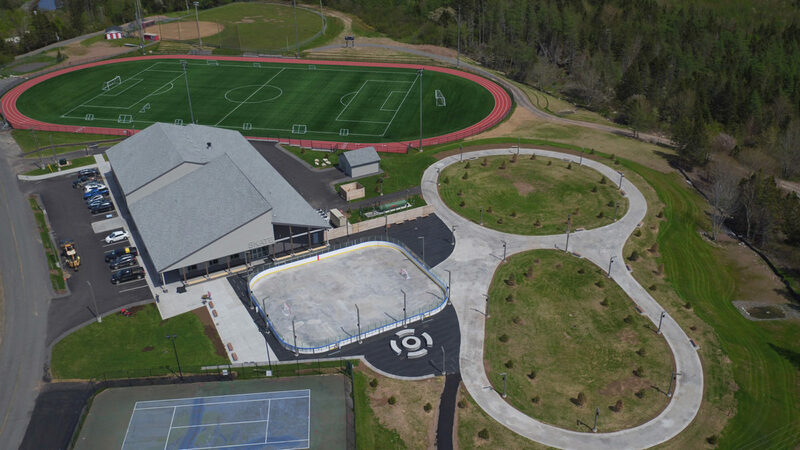 providing a more community-centric campus. 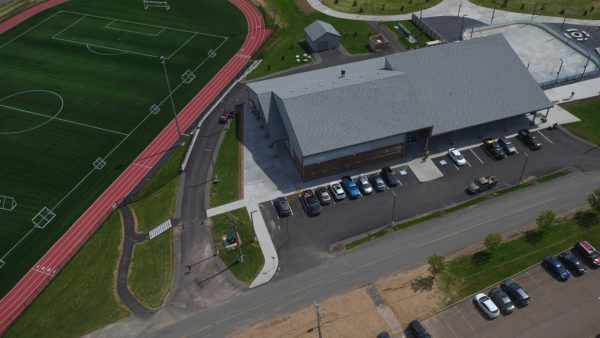 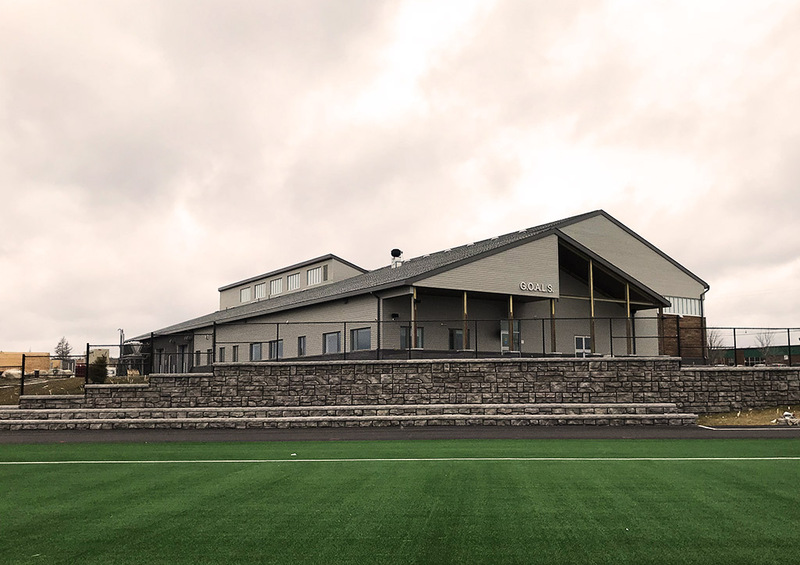 The facility houses the Chedabucto Fitness Center, community meeting/event space, office space for the municipal recreation department, an elementary-sized gymnasium that can easily be converted into community space for weddings, etc., and community offices. 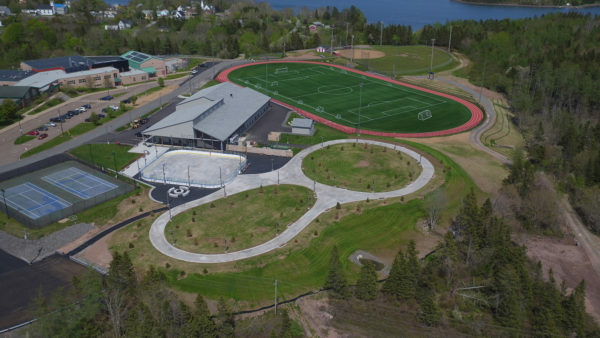 The complex will also be used as the main Emergency Coordination Centre for the Municipality in the event of an incident that requires the activation of the ICS (Incident Command System). Attached to the building is a refrigerated shinny rink with removable boards that can be used for skating/hockey purposes, and a refrigerated skating loop that will measure about 1,000 feet in length. The shinny rink can be used in off season for ball hockey, baseketball and other outdoor activities, while the skating loop can be used in off-season months for roller blading, walking etc. 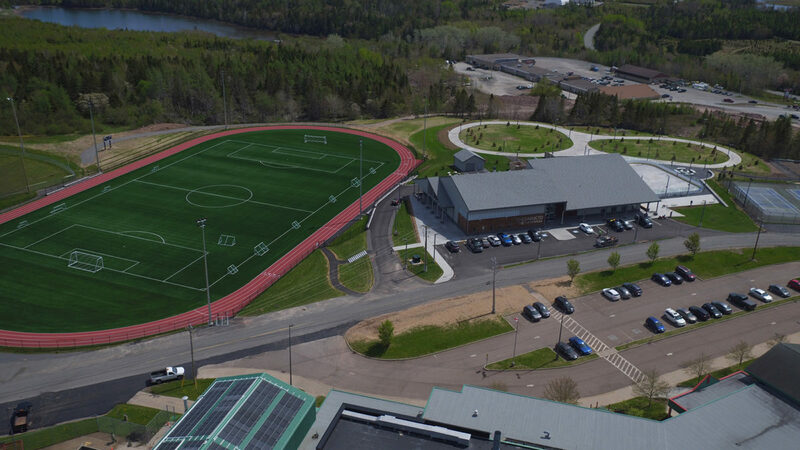 Additional facilities, that were not part of Marco’s contract, include a regulation-sized artificial turf soccer field, a four-lane running track, and a new seating area.